"Increased knowledge of the staff not only for how they do something but also why they are doing things. We find the team are bringing issues to our attention rather than management or QA picking them up. The Polaris Learning Consultant has been incredibly helpful on a number of levels - from highlighting production issues, helping with quality and technical issues and also providing solutions." "One of the benefits we have experienced as a result of the service from Polaris Learning was raising good awareness of the need for quality product within the supply chain. Engaging with our Levy payers has also resulted in new businesses being set up to help expand the red meat offering to the general public. They are efficient, reliable, and provide an innovative service from passionate staff." "Staff have enhanced skills and knowledge through the work they have covered when undertaking the Modern Apprenticeships. Staff are also more motivated and keen to learn to help with their development throughout the business." "The service from Polaris Learning has been outstanding! Their onsite assessor has led from the front and doing a sterling job. There is a huge amount of effort and hard work required from pre-work to registration then from delivery to completion, and Polaris Learning do this extremely well. Our business needs to be flexible and they allow us to do this." "Course was very well delivered and the trainer described every single bit of information very well and to my level of understanding." "The course gave me a better understanding of where I can be involved in Internal Audits and what factors in my role will need to be taken into consideration when an audit will be planned to be carried out." "This course has helped improve my confidence within my role and helped me develop further, would recommend all staff enrol. My assessors were extremely helpful and supportive and we were able to move forward at my pace and work around when I am free." "We have been able to provide relevant on site training to a number of employees as part of their normal working day. Polaris Learning have done this effectively and dealt with all of the funding requirements making it a painless exercise for the company. A significant number of staff have now achieved Modern Apprenticeship's which they never would have done without the input and support from Polaris Learning. They are a professional company and deliver the results they promise." "The trainer was lovely. Was very useful having someone who knew the ins and outs of the business and could answer or find out anything that needed clarifying." "The trainer had a lot of knowledge and experience and used it to transfer information in an easy to understand way." "We have supported 11 candidates from across Production, Quality and Warehousing to work towards their qualifications so far. The Modern Apprenticeship system is now being used on site to support the harmonised working conditions and has been written-in to the revised job descriptions which are used to provide a career map through the roles available on site. Everyone on site has developed from this programme and a healthy debate has resulted in an increased level of professionalism from everyone at the factory." "The trainer was great, he had great knowledge which helped me with some questions and I was not rushed through it. He listened to things I may have been stuck on and broke them down brilliantly." "Lovely trainers. Very enthusiastic about the material which rubs off on people. Always available for comment or help through phone or email no matter what day or time. Very good." "Very helpful course - would like to progress on to more training at higher level. Very happy with the way the course was presented by assessor who would spend time going through questions that I did not completely understand." "This course has encouraged me to reach deeper into the technical side of my role. This in turn will help me develop my skills further. I will highly recommend this course to my colleagues." "The trainer provided great support throughout the course. Any questions I had were answered swiftly and in a clear manner. I would highly recommend great trainer to future candidates." "Excellent course - trainer was brilliant. Good communicator and very pleasant, nice guy." "Course was a lot better than I anticipated it to be. Tutors presented the course confidently and clearly. I believe I have learned and understood their tutorial." Our team has a vast amount of experience in the food and drink industry and this is a major part of the reason that we can help you put in place clear and straightforward solutions that work first time. From animal welfare, HACCP, internal audit, work instructions, competence, food manufacturing excellence, management development, developing standards, assessor training to learning and development, we can support you as you work towards your organisation’s goals. To support these services and to ensure delivery to a high standard, we maintain a range of nationally accredited qualifications with a number of leading awards bodies including the RSPH. 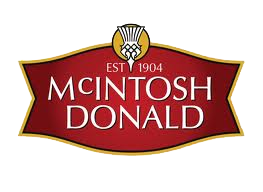 Since 2005, we have built a close working relationship with McIntosh Donald on a few different projects. These include the Modern Apprenticeship programme, food hygiene courses, train the trainer courses and internal auditor training. Working together since 2012, we continue to deliver a modern apprenticeship programme to their employees at Level 2 and 3, and have successfully delivered a leadership development programme for their team leaders, covering all areas of the business. In the pipeline, line leaders at Macsween will also complete the leadership development programme, and we look forward to delivering an in-house train the trainer course and continuing with the Modern Apprenticeships. As part of the continuous training and development within the plant at Farne Salmon & Trout Ltd, over 80 members of staff have now completed their Modern Apprenticeship Level 2 qualification, with a number of employees in the process of completing their Level 3 qualification. The programme has included a variety of pathways such as Fish and Shellfish Processing Skills, Distribution Skills, Operational Skills and Production & Processing Skills. For employees who do not have a professional qualification in food and drink. This course is an introduction to the importance of health and safety, accidents and work-related ill health. Gives employees a basic awareness of HACCP and hazard analysis. To get supervisors and managers up-to-speed on practical actions. Conducted independently by an appropriately trained competent auditor. A work instruction is a tool provided to help someone to do a job correctly. Our butchery skills courses provide hands on training.